What’s the Best Way to Identify Your Pet? Every year, millions of cats and dogs are euthanized at shelters across the United States. The vast majority of these have been picked up as strays and have no identification. Sadly, one in three family pets will get lost during its lifetime, and without identification, around 90 percent will not return home. Many of those euthanized are beloved family members that just couldn’t be found by their owners. That’s why it is so important for you to know how to identify your pet. Pets become “strays” for lots of reasons. Dogs dig out of their yard or jump the fence. Cats and dogs slip out of doors accidentally left open. They may escape from the car during travel. They may simply slip out of their collars during a walk and run off. Many pets get lost on the 4th of July when they become frightened by fireworks. Responsible pet owners want to be proactive about protecting their four-legged family members. What can you do to identify your pet to make sure your cat or dog doesn’t add to the statistics in local shelters? 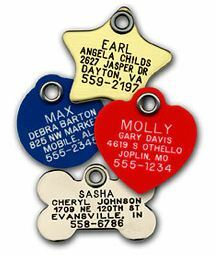 Identification tags can be the best and quickest way for your pet to find its way home. 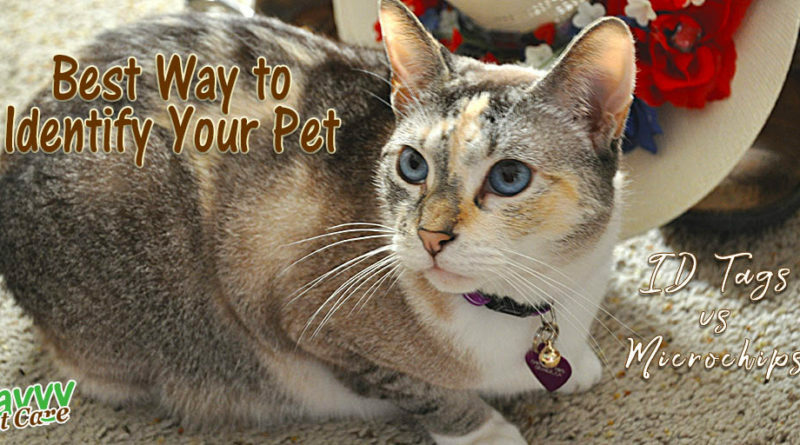 Your pet should wear its collar at all times, not just when walking outdoors or traveling. All too often, pets slip out without their collars because owners think they don’t need them in the house. 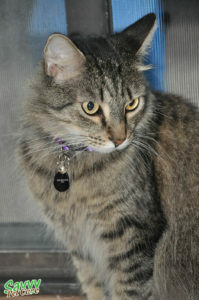 Cat’s should wear a collar with identification too! They need a special breakaway collar made for cats, but it is still the best way to get them returned when they become lost. As a first level of defense, your pet’s ID tag could mean a quick return home. Be sure your pet ID tag has all the essential information. Your pet’s name IS NOT one of those essential items! Putting your pets name on its tag can even be unsafe – it can make it easier for someone to steal it. Here’s the information you should put on your pet’s tag. Your phone number is the most important thing on your pet’s tag. Your name is the second most important so that a caller can be sure they have the right person. Your city and state will let whoever finds your pet know just how far the animal has traveled and how much additional help it may or may not need beyond simply taking it in and calling the owner. If your pet requires any special medical attention, it’s extremely important to include it on his ID tag. Some pet owners even include the phrase “Needs Medication” or “Special Medical Needs” on their pet’s tags regardless of whether the animal actually has a health issue or not. The problem with ID tags is that collars break, they are easily removed by thieves, and owners don’t put them on in the house. Microchipping can help in these situations. 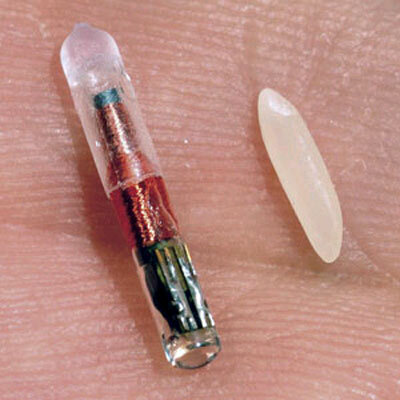 A microchip is about the size of a grain of rice and is injected just under the skin. The device carries a number, and this number is plugged into a database that includes the name and contact information of a pet’s owner. AVID and HomeAgain are the largest sellers of the microchips. It is critical that you keep your information up-to-date in the database. But don’t think that because your pet is microchipped it doesn’t need a collar. As effective as these chips are, they are not fool proof and are actually only effective if the pet is taken to a vet or facility that can read the chip to get the information off of it. More and more shelters are able to read the chips but if your pet is found by someone who doesn’t turn it into the shelter, they don’t have the ability to read the chip and may not even know it is there.